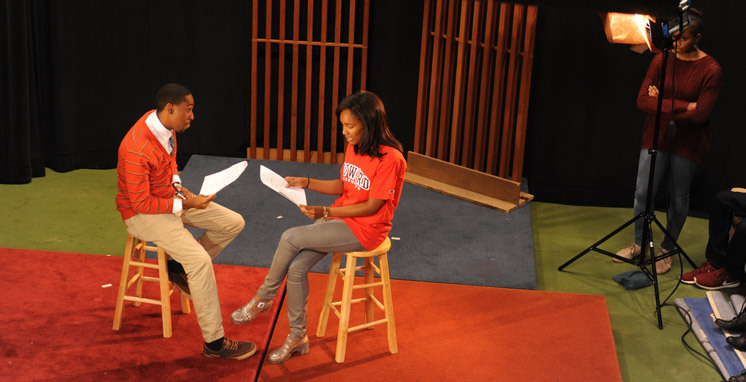 For nearly 45 years, the School has trained journalists and media communication professionals through six premier programs: advertising, audio production, journalism, media management, public relations and TV/film production. SOC graduates are known internationally for their leadership through communication research, professional practice, innovation, job creation, social justice and service. The SOC’s legacy of excellence is demonstrated by its track record of graduating the most African-American communications professionals; reputation as the program where the best students study communications; and engaged Board of Visitors, which assists with fundraising. SOC offers an academic environment that promotes high expectations, demands rigorous study and introduces innovative learning experiences. The University’s first Marshall Scholar came from the School of Communications. The School’s outstanding professors are critical to the School’s culture of excellence. They include Pulitzer Prize winners, Fulbright recipients, prominent researchers, renowned authors and other media professionals. SOC launched new degree programs following a University initiative called PCAR (President's Commission on Academic Renewal) that resulted in restructuring the School. New undergraduate departments of Media, Journalism and Film and Strategic, Legal and Management Communication as well as graduate departments of Communication, Culture and Media Studies and Communication Science and Disorders. Shani Hilton, alumna, is executive editor of BuzzFeed News, recognized by light in Marie Claire magazine’s "The New Guard: The 50 Most Influential Women in America." Professor Yanick Rice Lamb won a 2015 NABJ Salute to Excellence award for work on “Dealing with Dementia: Caring for My Mother,” part of the FierceforBlackWomen.com website. "As a Speech-Language Pathologist, I will be able to help children in multiple settings. Your donation is helping me reach that goal."